PARTIDO SOCIALISTA ANDALUZ .PSA. 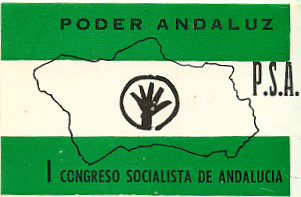 PARTIDO ANDALUCISTA. PA. This entry was posted in Pegatinas on noviembre 12, 2016 by Nalon.